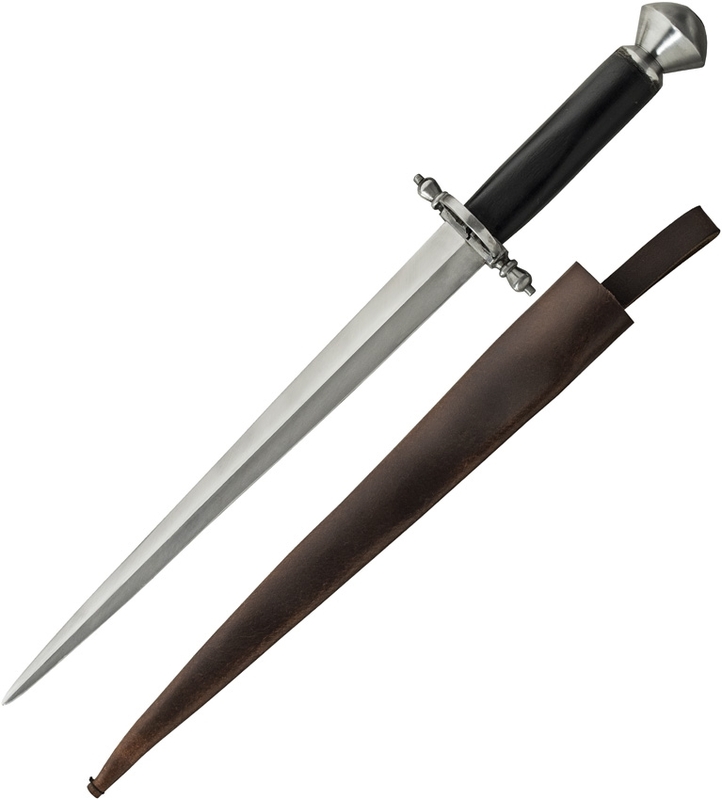 Get dressed for battle gb3961 saxon parrying dagger. 18 1/4" overall. 12" stainless unsharpened dagger blade. Black wood handles with stainless guard and pommel. Brown leather belt sheath. Bulk packed.